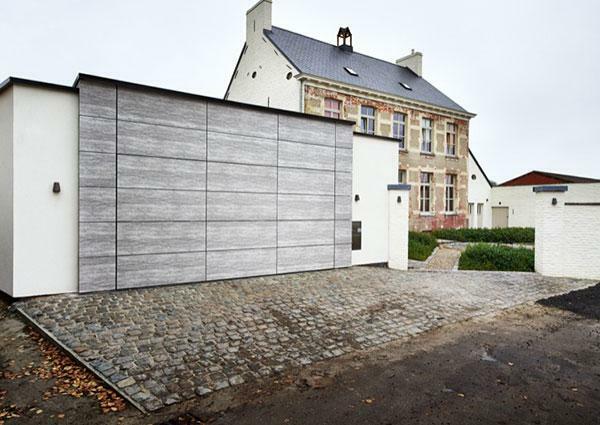 At CRE-8-IVE by L-DOOR, we pride ourselves on the fact that every garage door, combined with facade cladding, we supply is always made to measure. As we work in close collaboration with your architect, the concept is drawn in minute detail so that you are guaranteed a finished product that is second to none. 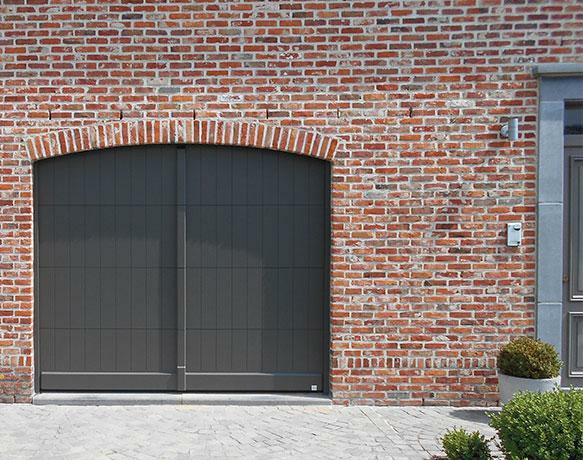 Your architectonic garage door is drawn, designed and produced at our headquarters in Liedekerke. In sum, we look after your project from start to finish. With more than 20 years’ experience to our name, your integrated garage door project couldn’t be in safer hands. You have settled on the concept. 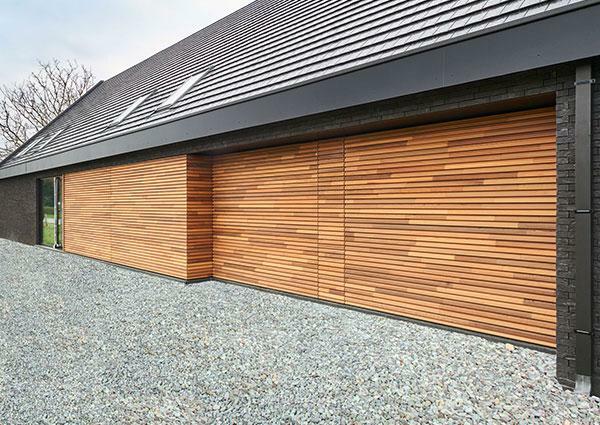 We make sure that your garage door disappears into the facade cladding as it were. 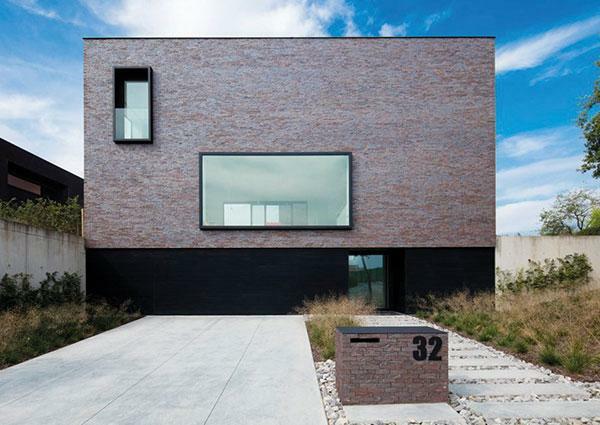 But as to the materials to be used, we allow you full rein. 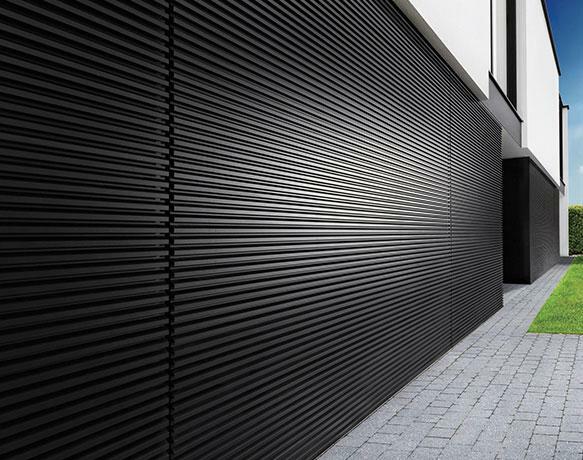 Whether you opt for composite, aluminium of wood, you can relax in the knowledge that we only work with renowned brands. 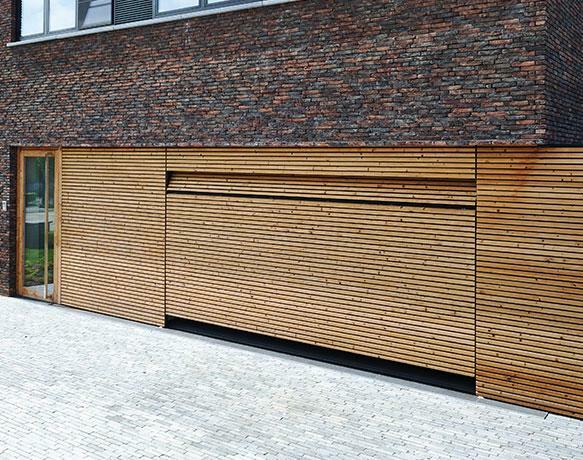 CRE-8-IVE by L-DOOR projects are characterised by the fact that the sectional garage door seamlessly integrates with the facade cladding. 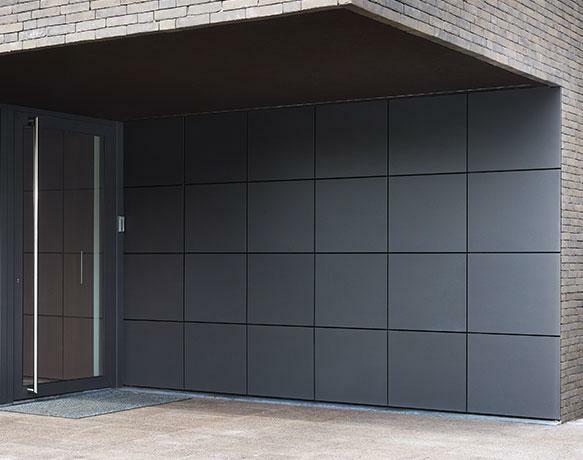 For this type of (ventilated) facade cladding, we only work with the most reputable manufacturers, famed for their top-quality cladding materials. The latest innovations within the Nature Line and Puma Line ranges are the brainchild of the business unit CRE-8-IVE by L-DOOR. 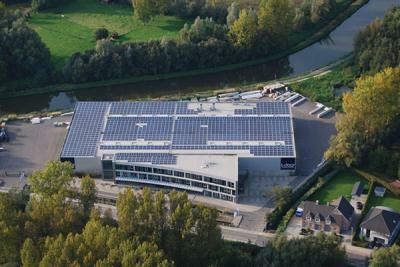 This is the L-DOOR think tank that constantly researches and looks into new application and materials. 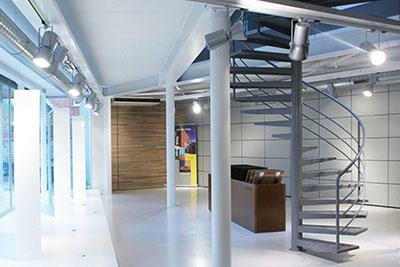 Our advisors will be happy to show you around our concept store.